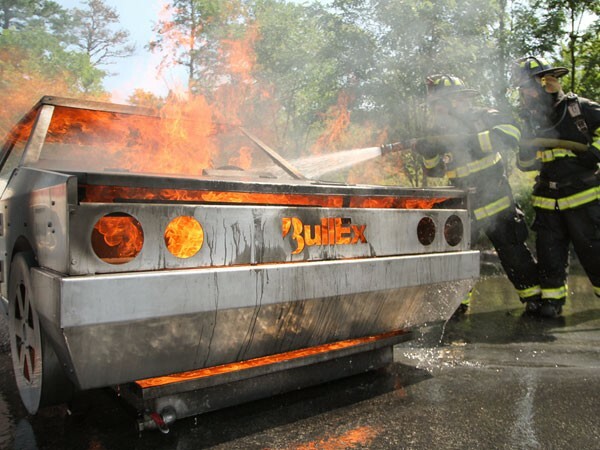 The BullEx Vehicle Fire Training Prop is a heavy-duty training tool with intense flames, real heat and smart controls. 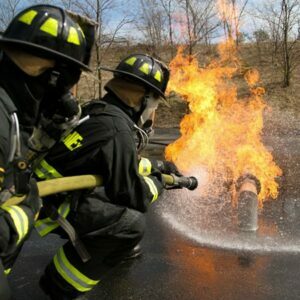 Ignite the propane-based flames and have full command of each evolution with the instructor’s controller. 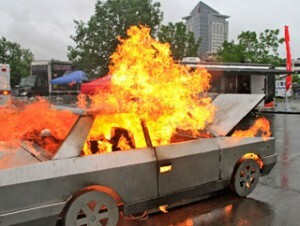 Create passenger compartment, engine, wheel-well and trunk fires at the push of a button. 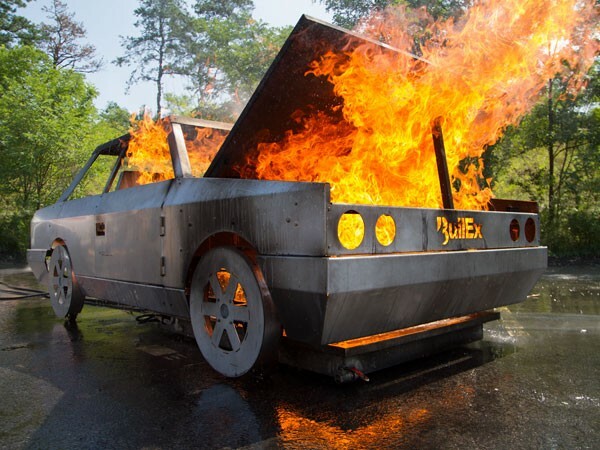 Multiple burn zones allow you to create engine, passenger compartment, fuel spill and tire fires. 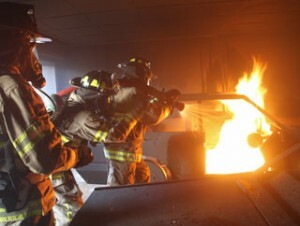 The intensity of the flames can be changed throughout the evolution and fires can be set to spread to multiple zones with the instructor’s controller. 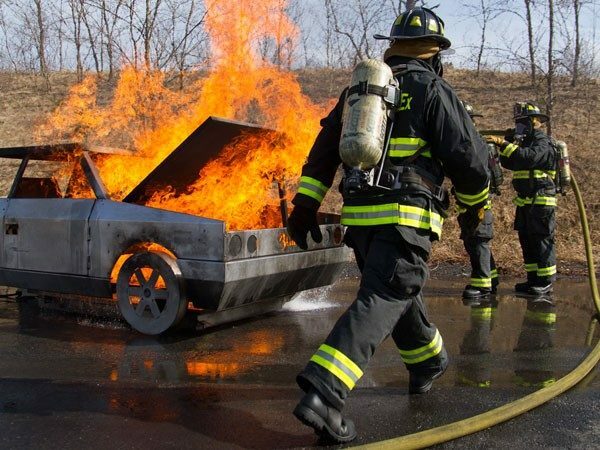 The Vehicle Fire Training Prop features working doors, hood and a trunk made of heavy gauge steel that is built tough to take evolution after evolution of live-fire training. Smoke Add smoke to create visibility restriction and teach trainees to attack the fire from upwind and uphill. Heat shielded Smoke Generators can be integrated into the prop and are controlled with the instructor’s controller. 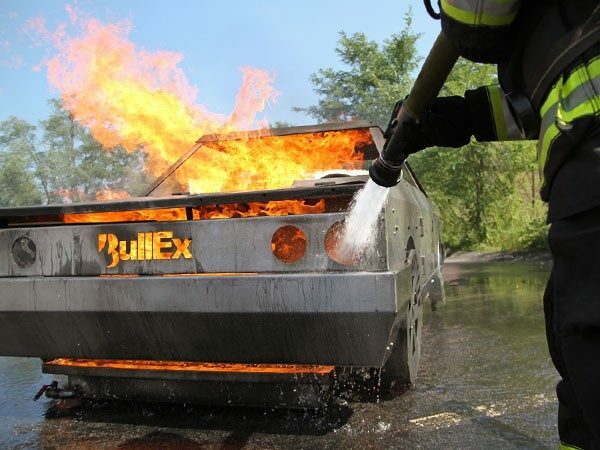 Because BullEx props feature continuous operation Smoke Generators, you get smoke when you want it, every time. Stainless Steel Construction Choose either heat resistant, paint treated carbon steel or stainless steel prop construction. Cooling System The integrated cooling system keeps steel cool to prolong the life of the prop and allows for long duration, heavy fire exercises. Cooling system components are hidden to maintain the realistic look and feel of the props. 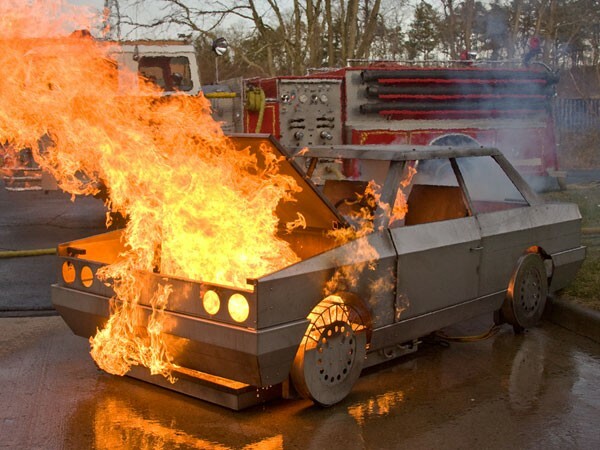 Sound Effects Heat shielded components create fire and engine noise effects as well as the sound of tires popping and gas shocks exploding. Additional sound effects may be added based on your specific training objectives. 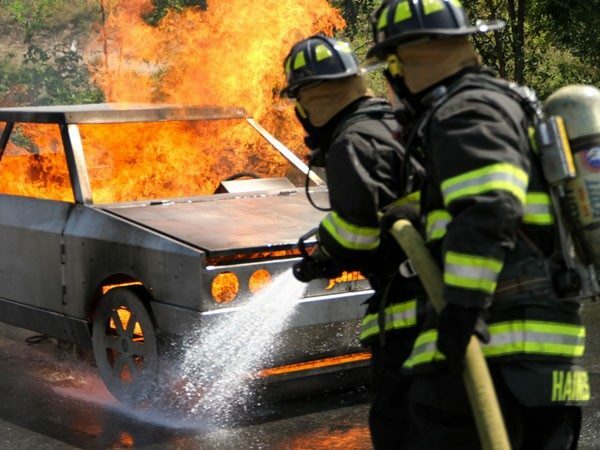 Fixed fires Add fixed fires directly to the prop for specific fire locations and characteristics such as wheel-well fires and pressurized vapor fires (CNG vehicles). 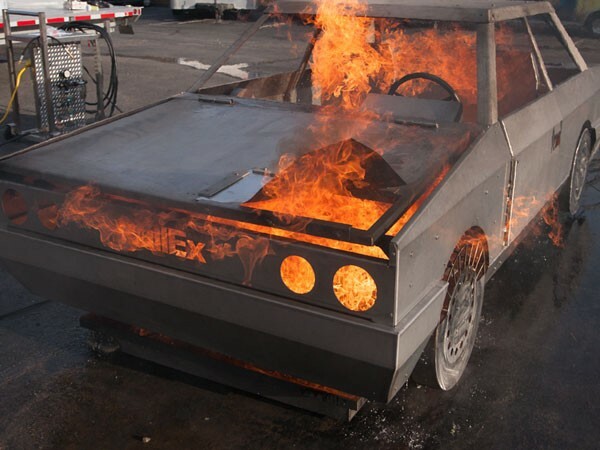 The Vehicle Fire Training Prop is powered by the same force behind all of BullEx’s portable fire training props, the Pilot Module. The stainless steel Pilot Module acts as the brain of the system and connects to the Control Console, which allows the instructor to safely stop and start evolutions. The Pilot Module also houses the forced air pilot system, which guarantees reliable ignition, even under the most demanding circumstances. Multiple fire props can be used with the Pilot Module allowing you to cost-effectively add additional props to your training arsenal. Additional props include a Helicopter, Large Volume Pressure Vessel, and Aircraft Wing Prop and any Custom Built Props your training requires. 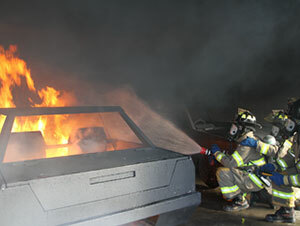 Another component of the Advanced Fire Training Props is the Burn Tray. 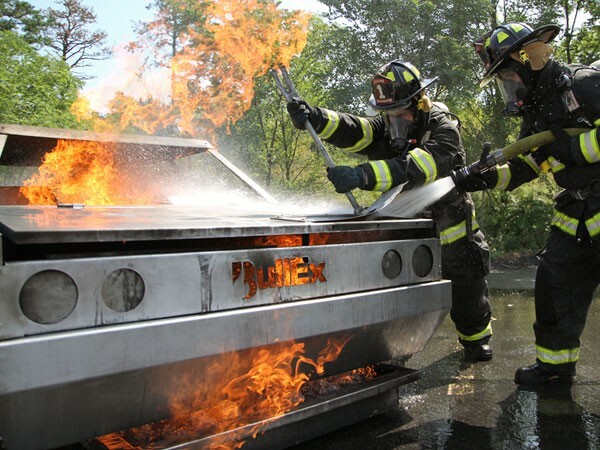 The Burn Tray, which allows for multiple burn zones and more intense flames, can be connected to the Pilot Module to expand training capabilities. 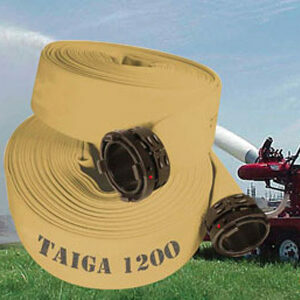 Its water bath design ensures even fuel distribution and protects burners from intense heat. Use the Burn Tray to demonstrate a fuel spill, or add larger props such as the Pressure Vessel, Pipe and Valve Assembly (Christmas Tree) and Electric Motor Fire Training Props. 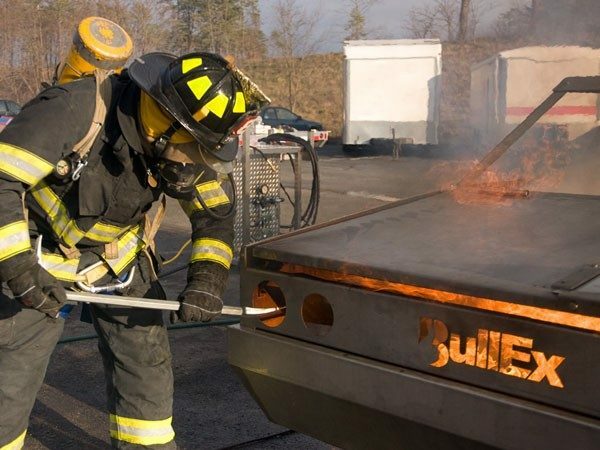 BullEx’s Vehicle Fire Training Prop, along with the entire line of fire training props, is made of the most robust and rugged materials and is designed to stand up the most rigorous training demands. 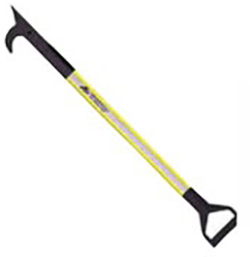 Props are easily interchanged for versatile and diverse training opportunities. Additional props can be added to your collection at any time, allowing instructors to easily refresh their training capabilities.